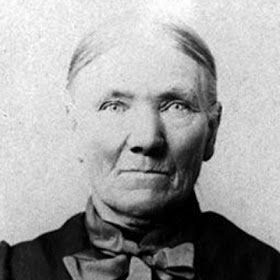 Sarah Elizabeth Goode was born into slavery ca. 1850-1855. Very little is known about her childhood. Having knowledge of how slaves were treated on American plantations, the conclusion can be made that she was exposed to violence and hard physical labor at a young age. Records show that she was living as Sarah Jacobs in Toledo, Ohio as a free child by 1860. By 1870, Goode moved to Chicago, Illinois. 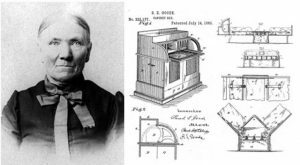 Ten years later in 1880, she married a man named Archibald Goode who was a carpenter and stair builder. They had children together but no one knows exactly how many they had. 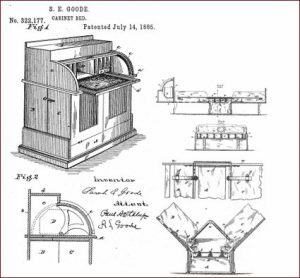 On July 14, 1885, Goode received patent number 322,177 for her invention, the folding cabinet bed. The folding cabinet bed (also known as the "hideaway bed") was a practical device. It was a cabinet that could serve as a shelf/stand and a desk until it was time to go to sleep. It could then be opened up to reveal a bed within the cabinet. the hideaway bed was designed to maximize space in small urban dwellings. It was ideal for those living in compact Chicago apartments. Her invention was a huge success. Many inhabitants in major cities/urban areas found the hide-away bed to be extremely useful. In addition to serving as a desk or stand, Goode's invention also consisted of compartments where stationary and other writing materials, for example, could be stored while the user was asleep. After receiving the patent for the hideaway bed, some records indicate that Goode opened a furniture store. She sold her hide-away bed as well as the furniture that her husband Archibald made in her store to urbanites living in Chicago. Sarah Elizabeth Goode died in 1905. 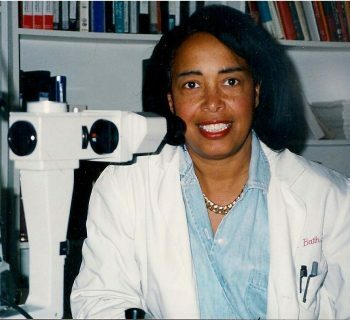 She was between the ages of 45 and 50 years old according to different sources. Thank you all for reading my article. I'm a part of the largest online marketplace for Black-owned businesses called We Buy Black. 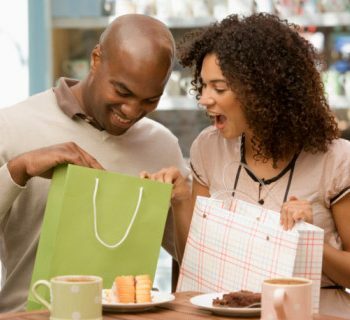 Similar to Etsy or Amazon, this website allows for Black-owned businesses to create a shop and sell their amazing products to the world! If you have a product, you should definitely join this platform! 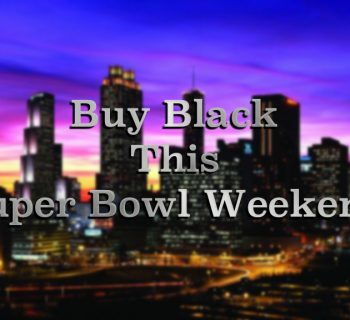 We Buy Black also has it's Inaugural We Buy Black Convention happening this November 16th-17th in Atlanta, GA and I hope to see you all there. In fact, I along with hundreds of others will be wearing our official We Buy Black T-shirt, so here's my gift to you: Get 50% off the official WBB T-shirt using my code WBB2018. Peace, family!